Dear VC, Does M'sia Still Have Room For More E-Wallets? Dear VC, Do You Think There’s Still Room In M’sia For More E-Wallets? Welcome back to Dear VC, the series where we get experienced venture capitalists to answer startup, funding, and venture capital-related questions from our readers. If you have a question you’d like to ask, please fill out our questionnaire here. 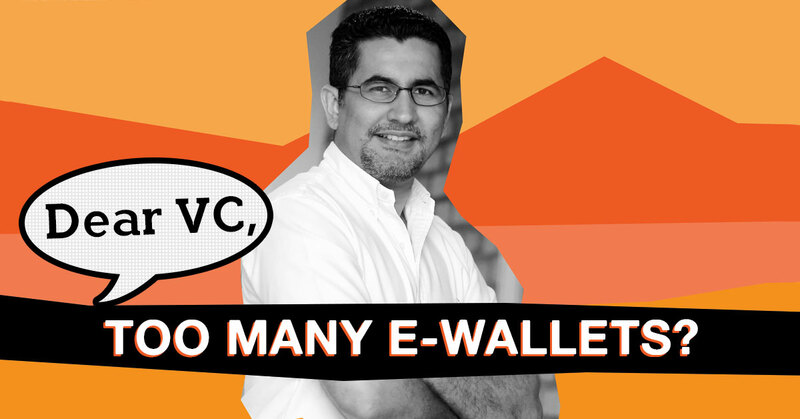 In our second edition of Dear VC, we get Bikesh Lakhmichand of 1337 Ventures to answer two very relevant questions from our readers—what of trade transparency in Malaysia, and is there still room for more e-wallets in Malaysia? In line with the election results recently, Malaysia aspires to be a transparent vibrant economy. Back in 2016, we started our company to provide equal opportunities for SMEs in terms of business opportunities from large corporations and GLCs in our country. We started an e-purchasing platform with powerful tools and allowed these corporations to use them and we allowed sellers to set up their catalogs on our marketplace for these corporations to purchase out of directly. My question is simple: how much more transparent do you think the trade in our country will get, and will a startup such as ours be able to thrive now? Is this a real opportunity or a short lived hype? Would our startup be something VCs invest in? I don’t think the transparency of the government would affect the success rate of a startup too much. If a VC rejected your idea during the old political scene, don’t expect them to accept you now just because the political scene is different. Though the upcoming changes from the government may favour certain startups, I believe it wouldn’t be drastic changes. Due to the change in the country’s sentiment, startups that land in some specific spaces where people are demanding for may receive positive feedback, and customers will be much more receptive in adopting these solutions. However, this opportunity is very niche, and only affects a small amount of startups. Focus on your customers and seek out ones that are eager to use and pay for it. Possibly put aside your utopian dream of getting the GLCs onboard and stick with the private corporations first. I hear a certain telco’s innovation department was interested in such a solution. Are you knocking on enough doors? The mobile payment industry can be said to be crowded right now. Will an idea of mobile payment app still be found reliable and accepted by VCs for seed funding? From WeChat Pay to Grab Pay and FavePay, all of these rely on a huge user base. In your opinion, what is the “core element” needed for new startups to beat these giants, get at their weaknesses and “attack” them? Though the mobile payment/e-wallet space is really competitive right now and crowded with big players (refer to our Fintech Opportunity Map), we still think that there are problems in the e-wallet industry that have not been solved. Right now, most of the e-wallet’s customer acquisition strategy is through the “carrot”—cashbacks, discounts, loyalty points. Will their customers still remain if there isn’t anymore benefits? Will their customers remain loyal if a competitor provided better benefits? Right now in Malaysia, e-wallet users tend to have 2 to 3 different e-wallets in their phone. They are not loyal, and their behaviour is not sticky. The core element new e-wallet startups should be solving is, “How do you acquire customers without giving benefits?”. How do they acquire customers just because the customers need it? If a startup is able to acquire and retain customers without relying on monetary benefits, that would be the secret sauce against these giants. 1337 has recently invested in not one but two wallet type startups; Bayar and pod, and if you swing by the upcoming Alpha Startups Fintech edition Demo Day on August 2nd, I’m sure you’re gonna see new interesting takes on the wallet space again. Bikesh Lakhmichand is no stranger to the digital disruption scene in Southeast Asia. As founder of Malaysia’s first accelerator programme 1337 Ventures, he has invested in over 50 innovative digital startups across diverse sectors. Under the 1337 Ventures banner, his success stories include names like ParkEasy and Gigfairy. He also believes in helping others advance their careers, and has done this through iTrain—a digital training centre that has empowered over 3,000 corporate employees, and more recently Asia Developer Academy—a vigorous coding school created to develop competent coders from all walks of life. If you’d like more VC insights, you can check out the first installment of Dear VC here.